Nintendo started the trend of revitalizing aging franchises with augmented reality-enabled mobile games and it appears as though POGs - those cardboard discs from the ’90s that took over schoolyards and locker rooms - are now following suit. Without a major publisher like Nintendo backing them, though, POGs are turning to IndieGoGo - and POG faithfuls - for help with their big comeback. POGs: The Mobile Game is a new project by a company called Compton Technology based out of London that hopes to bring that childhood nostalgia to your iPhone, iPad and Android devices later this year. Where augmented reality comes into play is that you’ll be able to use your phone or tablet’s camera to scan in your collection - including both old POGs and slammers (the heavy disc used to flip POGs over). Backers who give $20 (around £15/AU$25) to the campaign will receive a special gold slammer which they can then scan into the game when it eventually comes out. 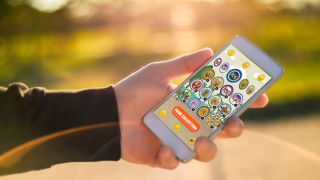 When, exactly, POGs: The Mobile Game will come out depends on if the project makes its $50,000 goal - a big task when you’re basically pre-selling a mobile game based on a ’90s fad. That said, POGs: The Mobile Game's target audience is people who paid good money for cardboard chips … so anything’s possible! The best VR headset 2018: which headset offers the best bang for your buck?